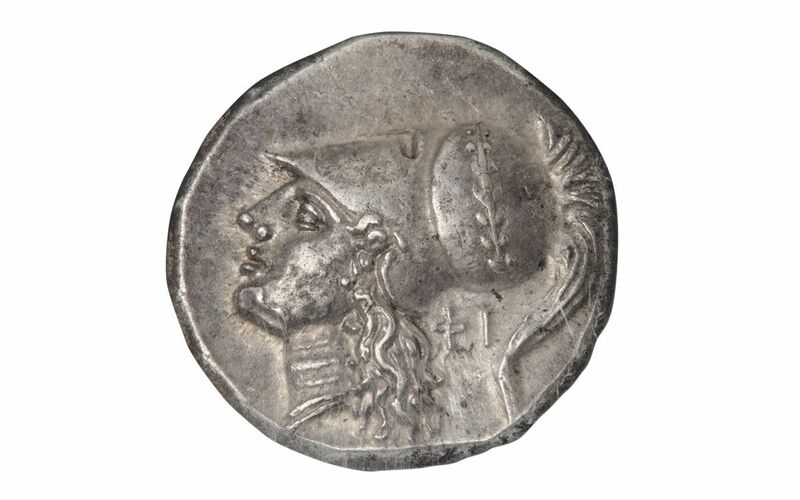 Less Than 25 of These 281-278 BC Herakleia AR Staters are Known to Exist! 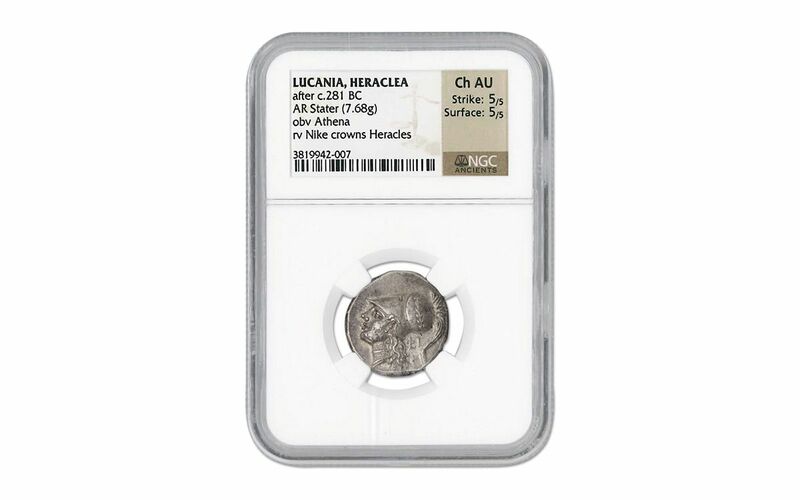 A very rare coin -- less than 25 are currently known to exist. From the James E. Cain Collection. 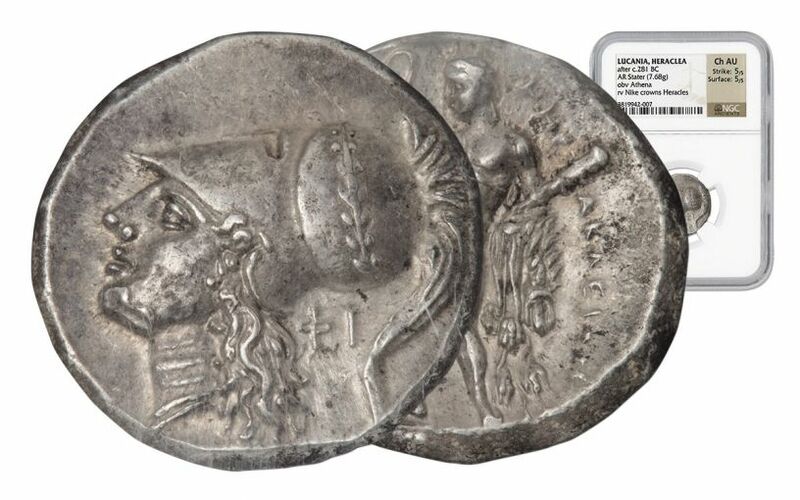 In a search of all of the over 1,430 major ancient coin auctions of the past 15 years, this is the finest by far of the three coins of this type sold. 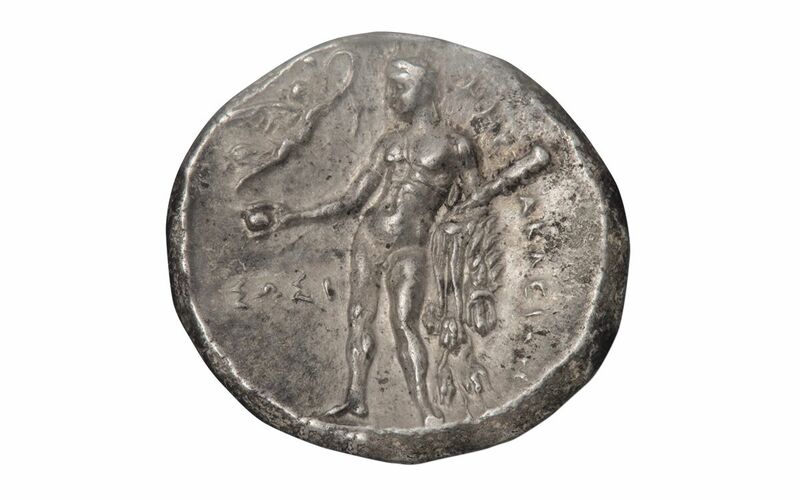 This beautiful coin features the classic Corinthian coin design of Athena wearing the Corinthian helmet on the obverse, but the reverse has an amazingly detailed naked Herakles (Hercules) representing the city. 2,700 years ago, when the people of ancient Greece found that they were running out of farmland to feed their growing population, they began to look for new colonies to settle. Thus began the movement of large populations of Greeks to Sicily and Southern Italy, which became known then, and is sometimes still referred to today, as Magna Graecia. Although most of the cities were established during that early settlement period around 700-600 BC, the city of Herakleia was founded about 430 BC as a compromise between the Athenians and the Tarantines (from Tarantum) who were fighting for control of Siris, a nearby city. Interestingly enough, in the end both cities continued to exist and eventually became one city.